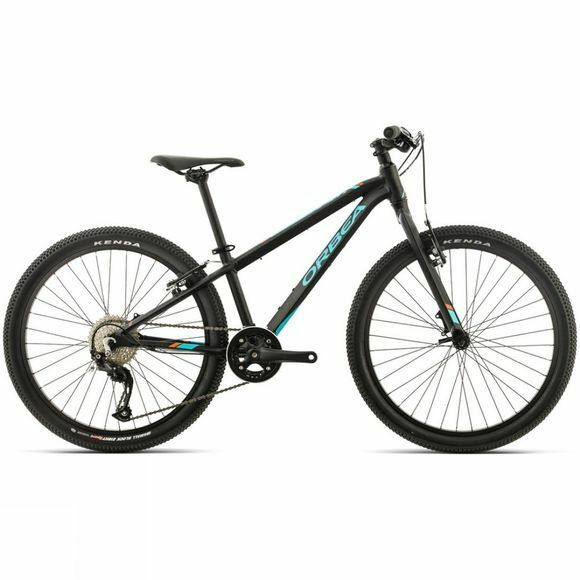 The Orbea MX 24 Team is an excellent quality kids bike. Made from lightweight Aluminium, it is easy for young riders to negotiate. This model has a 9-speed drivetrain, providing plenty of scope for the young rider to learn how to tackle undulating terrain. And, with brake levers that have been specifically adapted for smaller hands to allow for greater control you can have every confidence in younger riders stopping capabilities. Wheelset - Orbea Alu 24"